Quick overview David Hockney is one of the most influential British artists of the past century. He has spent his life dedicated to drawing, oil painting, printmaking, set design and photocollage, and has extended his practice into watercolour, multi-camera video installation and digital drawing. This title explores the artist's output over the past decade. David Hockney is one of the most influential British artists of the past century, and arguably the country's greatest living painter. He has spent his life dedicated to drawing, oil painting, printmaking, set design and photocollage, and more recently has extended his practice into watercolour, charcoal, multi-camera video installation and digital drawing. 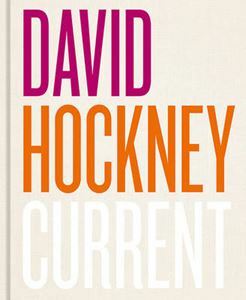 David Hockney: Current is a landmark publication exploring the artist's output over the past decade. This important volume includes essays by Simon Maidment, Martin Gayford, Li Bowen, Barbara Bolt and Edith Devaney, as well as a selection of David Hockney's extraordinary works. The book reflects Hockney's insatiable curiosity, a life's work based on risk-taking and experimentation. It will appeal to those familiar with David Hockney and inspire those new to his practice.